Dale Carnegie, author of the legendary How to Win Friends and Influence People, began his career as the premier “life coach” of the twentieth century by teaching the art of public speaking. Public speaking, as Carnegie saw it, is a vital skill that can be attained through basic and repeated steps. His classic volume on the subject appeared in 1926 and was revised twice-in shortened versions-in 1956 and 1962. This 2006 revision-edited by a longtime consultant to Dale Carnegie & Associates, Inc., and the editor in charge of updating How to Win Friends and Influence People-is the definitive one for our era. 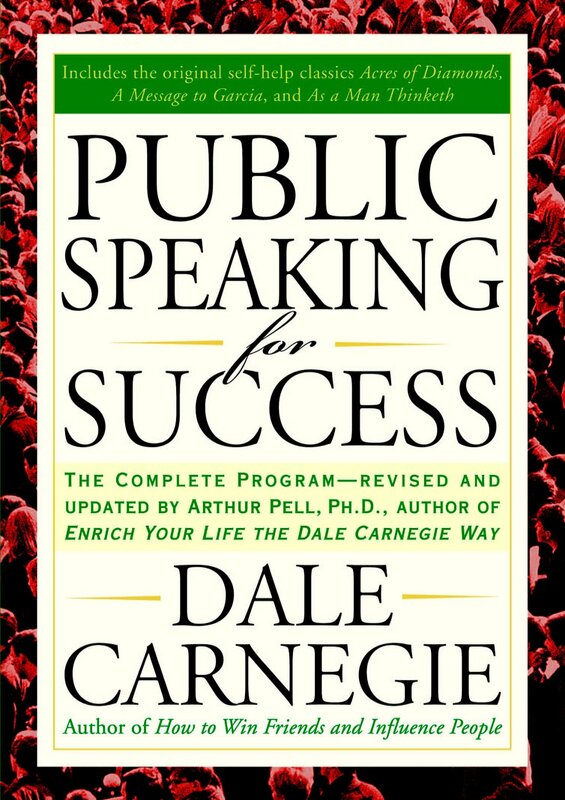 While up-to-date in its language and points of reference, Public Speaking for Success preserves the full range of ideas and methods that appeared in the original: including Carnegie’s complete speech and diction exercises, which follow each chapter, as the author originally designated them. This edition restores Carnegie’s original appendix of the three complete self-help classics: Acres of Diamonds by Russell H. Conwell, As a Man Thinketh by James Allen, and A Message to Garcia by Elbert Hubbard. Carnegie included these essays in his original edition because, although they do not directly relate to public speaking, he felt they would be of great value to the readers. Here is the definitive update of the best-loved public-speaking book of all time.